Welcome to Eventegg's Utrecht travel guide. You can find the most up to date information about the city's attractions, shopping and dining options here. 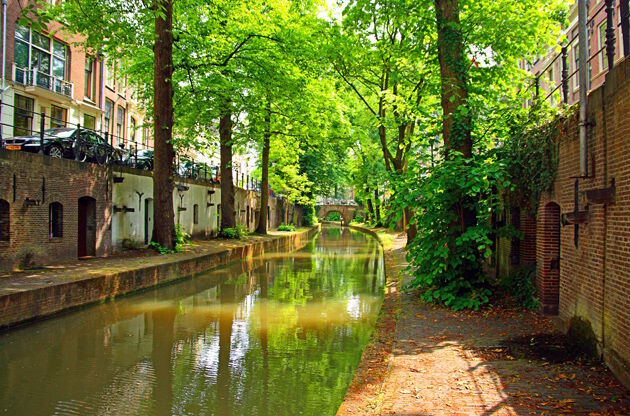 Famed for its inventive use of canals, Utrecht, located in the Netherlands, is a popular spot for vacation, shopping, business events, and more. While Utrecht has a lot to offer those who visit its historic walls, it tends to remain more of a secret among travelers. Whether or not this has to do with it being dwarfed by other cities in the Netherlands, such as Amsterdam, or not remains to be proven. Either way, the fact of the matter remains that Utrecht offers visitors many opportunities that even more well known areas of the Netherlands and Europe has to offer. A wonderful blend of countryside, medieval architecture, and modern architecture makes a trip to Utrecht a one of a kind experience that combines a deep love for culture with a deep love for nostalgia. Much of Utrecht has the feeling that many would relate with medieval times, and there are even lower levels to its warehouses which rest along the canals. As Utrecht resides in the Netherlands, it benefits from the Netherlands’ strong economy, which is as stable as it is notable. While Utrecht is certainly a small and centralized city, it still has much to offer, and features a powerful mixture of culture, festivals, and other sites of interest that prove small cities can pack a large punch. Whether it’s one of the best-ranked cafes in the Netherlands, beautifully lighted outdoor scenes, or the tallest church tower in the Netherlands, there is plenty for Utrecht to offer those who visit it. Utrecht, as earlier mentioned, resides in the heart of the Netherlands. Utrecht technically sits within one of the largest conurbations of the Netherlands, and specifically resides within the eastern part of this conurbation. Although it is often compared to other areas of the Netherlands, such as Amsterdam, many who live in Utrecht and visit the city claim that Utrecht is truly the lifeblood of the Netherlands. Utrecht is ranked fourth in terms of sizable cities in the Netherlands, and features a population totaling 327,834. There are a myriad of ways to travel to Utrecht, the most obvious of which is through an airline. While those who live out of country will find air travel to be the most likely option, upon arriving in or around Utrecht, they will find there are many other choices. Utrecht features both train lines and roads, all of which unite within the city and sprawl out in many directions. While in Utrecht, travel is possible via train, car, foot, and bicycle. The activities to engage in while visiting Utrecht are endless. A trip to Utrecht’s countryside may involve a visit to Fort Hoofddijk’s sprawling, beautiful botanical gardens, or even a trip to the Park Castle de Haar. Other options within Utrecht’s picturesque countryside involve the courtyard of Brutenhof , a Catholic courtyard dating back to the early seventeenth century. Other points of interest within Utrecht include Dom Tower, one of the tallest of its kind in Utrecht and totaling 369 feet in height. Utrecht’s array of churches, castles, fortresses, and monuments is seemingly endless, but Utrecht still has more to offer in terms of museums and other fare. If science is an interest, a trip to the University Museum may be in order, a museum where the impossible comes to fruition. Other popular museums include Sonnenborgh Museum and Observatory, with its massive telescopes, and the AAMU Museum, dedicated to Aboriginal Australia’s contemporary art. Although Utrecht appears medieval in many regards, it certainly has much to offer to shoppers. One must-visit shopping destination is Selexyz Broese, a large bookshop that caters to the reader in everyone. One of Utrecht’s famed shopping centers, Hoog Catharijne, features over a hundred shops for those yearning for a convenient location to commit the ultimate shopping spree. Many historic streets feature some of the most chic boutiques Utrecht has to offer, for those with an explorer’s heart wandering the city may also be a strong choice. Regardless of what shoppers are searching for, be it a quaint bookstore or a more contemporary shop for fashion, Utrecht certainly offers. With a vibrant amount of university-aged students, Utrecht has much to offer in terms of nightlife. Dining is equally excellent, as Utrecht features De Rechtbank, an outdoor café which topped the Netherlands’ best of list in 2011. Utrecht also offers many different styles of cuisine, whether it’s an upscale Asian meal at popular restaurant Opium, or the pub fare that restaurants such as Oudaen offers its diners. For those looking for something to do after a great meal, Utrecht has activities in music, film, and theatre. Springhaver, a notably original cinema, functions as both a movie house and café. Other cinemas in Utrecht range from the Wolff Camera to the Wolff Catharijne. Visitors can also catch concerts at venues such as Vrendenburg Leidsche Rijn, which features a wide array of musical genres. A must-have excursion which qualifies as its own type of nightlife is the Trajectum Lumen. This unique nighttime adventure encourages individuals to tour the city in a new light: literally! Various pieces of architecture are brought to new life by artistic lighting displays. City boat trips are another popular tour offered by Utrecht. For those who prefer other types of boats, canoe trips are also a possibility. Utrecht also offers beer tastings at Brouwerij de Leckere or Segway tours of the city for those tired of walking. Private city tours featuring on Utrecht’s robust history are also available for those wanting to learn more about the city. Every year Utrecht makes visible progress in strengthening its place on the list of best event cities. With its highly available public transportation system and high tech equipped venues, this progress doesn't come as a surprise. When the city's natural beauty is also taken into consideration, Utrecht clearly becomes a dream city to have an event trip in!